Novac Djokovic has been cruising through the 2018 US Open and he’s been doing it in style wearing a shirt created just for him by Lacoste. 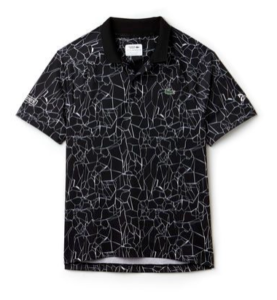 Now, though, you too can buy the MEN’S SPORT PRINT TECHNICAL JERSEY POLO – NOVAK DJOKOVIC ON COURT PREMIUM EDITION from Lacoste.The shirt is an ultra-dry jersey polo featuring raglan sleeves, a ribbed two-button polo collar and a breathable mesh panel on the back. It also has an exclusive Novak Djokovic logo, and (of course) a green crocodile logo on the chest. Best of all, it comes in a wild, eye-catching graphic print. Get one before they are retired, and you have to live with the regret. “Now with the arrival of Lacoste we can think about a lot of things. It was my first mission when I arrived a few months ago. 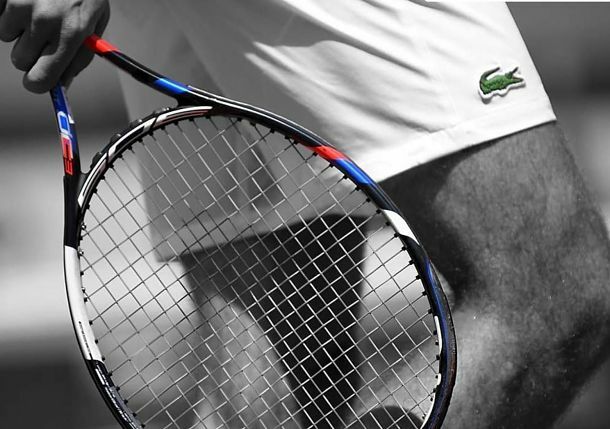 Thierry Guibert (Lacoste’s CEO) asked me to first of all set up the future for the next five years of the future with Tecnifibre; this is done, and then to think about all the possible synergies. “There are two types of synergies that we are going to set up. The first one is what you can call a classic company where a big company buys a small one. Today we can use all the expertise and the power of the Lacoste group in terms of human resources, in term of legal department, in term of IT systems and so on and so forth. This is very important for us because we move from 45 people to 10,000 collaborators so it’s very important, but it’s not enough. You can read more of the interview at TennisNow.com.